Prominent & Leading Manufacturer from New Delhi, we offer surge protection devices, metal panel, hakelnet arresters, arresters, hakelnet surge protection devices and hakeltel surge protection devices. DTB-L, DTB-AR and DTB-ART is a complex range of surge protection devices designed for protection of data, communication, measuring and control lines against surge effects. 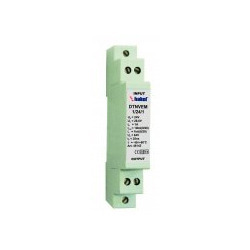 These surge protection devices are recommended for use in the Lightning Protection Zones Concept at the boundaries of LPZ 0A(B) - 1 according to EN 62305. All types provide effective protection of connected equipment against common mode and differential mode surge effects according to IEC 61643-21. The nomnal current of individual protected lines IN< 0,1A. 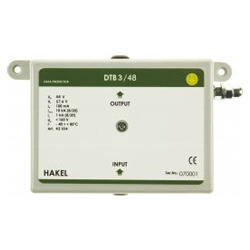 These surge protection devices intended for computer networks are specially designed for securing a faultless data transfer within computer networks category 5. They protect input electronic circuits of network cards against damage caused by surge effects in the Lightning Protection Zones Concept at the boundaries of LPZ 0A(B) - 1 and higher according to EN 62305. It is recommended to use these protection devices at the input of protected equipment. 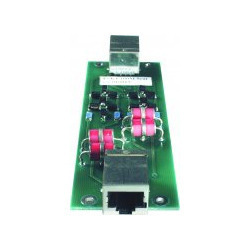 PSK 4/100M 5cat designed for protection of four pairs has RJ45 connector at the input and output sides. 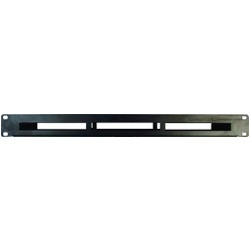 PSK 24 is a metal panel suitable for fitting in 19” rackmounts. 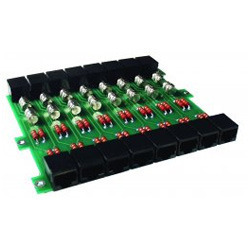 It is possible to mount up to 3 pieces of HAKELNET 8.4 RJ/RJ into this panel. 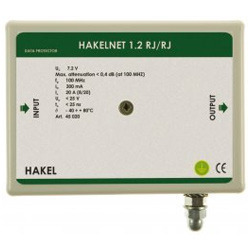 Hakelnet 1.2RJ/RJ protects one line with two protected pairs. It is supplyed in a plastic housing enabling bolt fastening on a wall. Alternatively, it can be attached to the protected appliance with a double-sided tape. Connectors RJ45 are at the input and output side of the device. 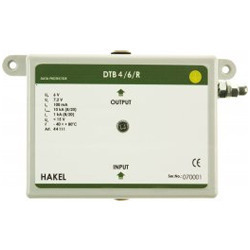 Hakelnet is a complex range of protection devices specially designed for faultless data transfers within computer networks acc.to EN 501 73-1 ed.3 class D. They protect the input electronic circuits of network cards against a damage caused by surge effects in the Lightning Protection Zones Concept at the boundaries of LPZ 2-3 according to EN 62305. It is recommended to use these protection devices at the input of protected equipment. 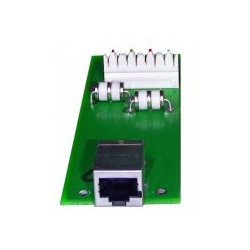 HAKELNET 8.4 RJ/RJ designed for protection of eight lines with four protected pairs has RJ45 connectors at the input and output sides of the device. For the option with RJ/RJ is intended a metal plate type 19” PSK 24. Hakeltel is a complex range of protection devices specially designed for the protection of analog telecommunication appliances against surges. These devices are recommended for use in the Lightning Protection Zones Concept at the boundaries of protection zones LPZ 0A(B) - 1 according to EN 62305. 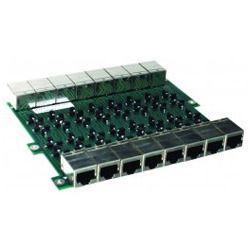 HAKELTEL is produced in two basic versions intended in preference for mounting to metal panel PSK 24 which is appropriate for installation into 19” rackmounts. These types provide effective protection against surge for 8 telephone lines. The number of protected pairs of each telephone line is optional (1 or 2 pairs). 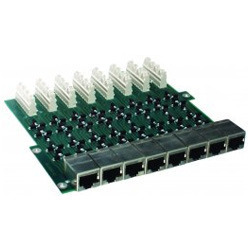 HAKELNET 8.4 LSA/RJ designed for protection of eight lines with four protected pairs has LSA-PLUS connectors at the input side and RJ45 connectors at the output side of the device. For the option with LSA/RJ is intended a metal plate type PSK24/LSA. It was designed to protect data and communication lines. 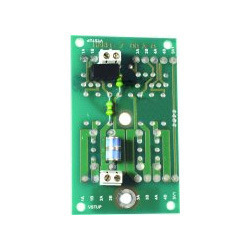 all protection lines are equipped with transient voltage suppressor diode with eliminates common mode and differential mode. It was designed to protect data & communications lines .all protected lines are equipped with transisnt voltage. 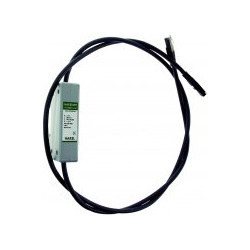 Surge Protection for Data Lines,& Communication Equipments.